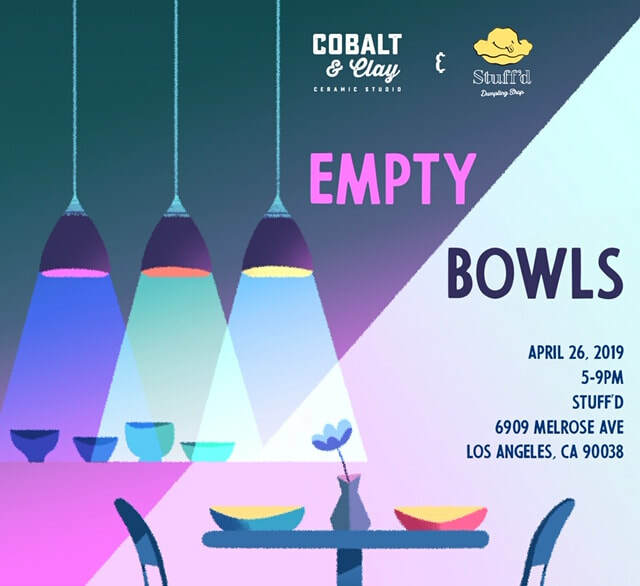 Celebrate with us as we host an Empty Bowls event with Stuff'd. All proceeds will be donated to PLUS ME Project, a nonprofit in LA that empowers youth through the art of storytelling. Potters from Cobalt & Clay will be donating handmade bowls for all guests to use and take home. Includes dumpling meal, handmade bowl, and glass of wine. Note: We have a maximum of 30 seats per hour slot.